If you Rent – You are required to get a copy of our Rental Contract signed by your Landlord. If you RENT you must have the RENTAL CONTRACT completed prior to starting the adoption process OR provide a LEASING/RENTAL agreement on your rental company/management’s letterhead that states in your lease that pets are allowed. This is a document that you would have in your rent/lease agreement with the property owner. IF YOU OWN YOUR HOME – please provide proof of home ownership (water/sewer bill – mortgage statement or deed are all acceptable forms of proof of ownership) – if you have questions on what constitutes proof of ownership please contact us at staff@sterlingshelter.org or call 978-422-8585. We’ll be happy to walk you through it. The adoption process starts with a promise. A promise to yourself and a promise to your future pet that you are willing and able to give the best care you can. 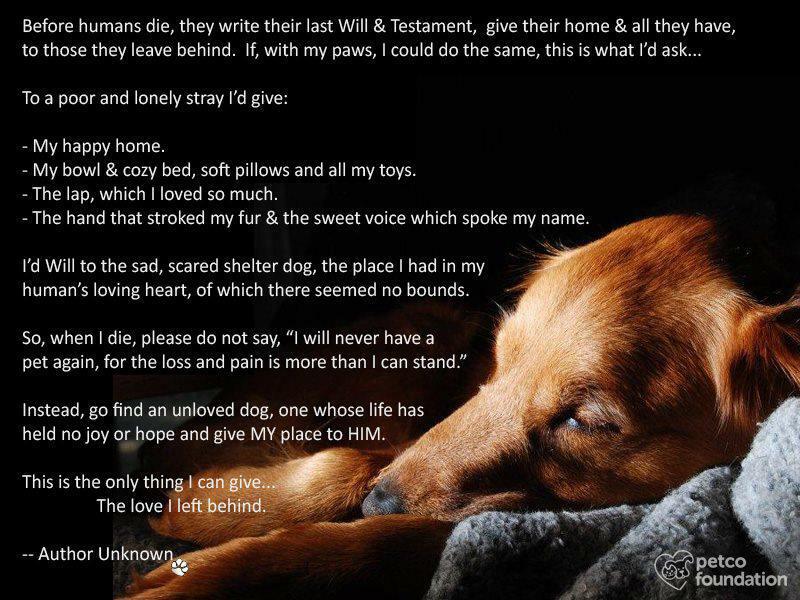 For some of the animals in our shelter, sadly, this is a promise that has been broken. We want you to build a relationship with your new pet, based on trust and commitment, just as much as your potential pet does. The animal deserves it, you have promised it, and our shelter expects it. Sound firm? We think so…but our mission is not only to find simple homes for our pets; our mission is to find loving homes for them. And we take our mission very seriously. We want you to be as comfortable as possible while you are here, so when you enter our office there won’t be any forms pushed on you or any long applications! Our adoption process is a streamlined process because we really want to get to know YOU…that’s why we have adoption counselors rather than just clerks. Perhaps you’ve always wanted a puppy, but after an honest look at your current lifestyle, you realize your work schedule of 8 – 10 hours each day wouldn’t promote successful pet ownership. Maybe an older dog or cat is right for you instead. Perhaps that St. Bernard you’re considering, which is about as big as you are, is a little too large for your apartment. In the next kennel, a small spaniel is poking its nose through the cage…should you consider him instead? It’s all about making a match, and by narrowing down the seemingly endless possibilities, we can ensure that the match is a perfect fit. Picking your pet is the most personal part of the adoption process. It’s all about making a connection. That is WHY we don’t allow people to adopt animals for other family members or friends. The connection is hard to explain: it’s that special something that happens between you and an animal that you can’t get from any other. There seems to be an immediate bond that lets both of you know you’re right for each other. This sometimes happens with the least likely animal…and when it does happen, it’s magic. That’s why we encourage you to spend as much time as possible with your potential pet before taking him or her home. Get to know its personality and demeanor. See how it reacts to grooming and petting, other animals, and children. We even let you bring your own dogs to our shelter to detect any initial conflict. We want you to have the most compatible match possible. When you find the right pet, or should we say, when the right pet finds you, you’ll complete the adoption process by completing the adoption contract. Our adoption counselors will go over all the information you need to know concerning the final adoption stages, and then it’s time to go home! Congratulations! Now that You’ve taken the first step to adopting your new best friend our staff will help you through the process. Visit the adoption page for Dogs and Cat Page to see the animals available for adoption. Need help? We’ve got valuable tips to help you select the animal that’s best for you and your family. When you’re ready to adopt, click here to receive driving directions from your home to our home. What do I need to bring with me to the shelter? The entire family! It’s hard to pick a family pet when the whole family isn’t there. Some pets react differently to children, to men, to women, to older people than they do anyone else. Some animals (even puppies/kittens) gravitate to children or men or women…others may shy away! What would happen if you brought a pet home and the pet hid under the kitchen table and growled at your kids and hissed at your husband? Its not fair to bring that pet back…but if you had your whole family here…we could see that WHEN YOU WERE HERE and realize thats not the appropriate home for the pet. Please understand this is a big decision and the whole family should be allowed to make this decision together. (This is the reason our shelter doesn’t allow gift adoptions) Families with children MUST have ALL children present for a meet and greet . This is for YOUR safety as well as the safety of OUR PETS! Have another dog/s? Great! We strongly recommend and advise you bring him too! Let your resident dog pick his/her new best friend. That way you are guaranteed a success! We have a large, enclosed meet and greet area where your canine can frolick with a potential new friend. If you rent from a management company or leasing company: you will need to provide a copy of a leasing agreement stating that pets are allowed on company or management letterhead. Handwritten letters will NOT be accepted!!!! If you Rent – You are required to get a copy of our Rental Contract signed by your Landlord. Please bring a drivers license as well. The shelter does NOT accept checks. We DO ACCEPT Visa, MC, Discover, or cash or ATM cards with the Visa/MC logo. There is a 3% service charge to use the credit card for any transactions. How much time should I plan to spend at the shelter? When you first arrive at the shelter, you should plan to spend some time with the animals you may be interested in adopting. After meeting with the pets, you will be required to READ and complete an adoption contract. An adoption coordinator will then review all vaccination records, post-operative procedures and any additional questions you may have. For dog adoptions, expect the complete process to take at least one hour. Cat adoptions will be less extensive. Please plan your visit accordingly. Please read our Shelter adoption contract VERY carefully as you will be expected to initial each line and sign the document at the shelter. We take our adoptions seriously, as we expect you will. Because your commitment is expected to be for a lifetime, there is NO TRIAL PERIOD and NO REFUND for any reason other than terminal illness or severe aggression confirmed by a certified dog trainer or behaviorist.